On June 19th, our first two volunteers arrived in Zambia to commence their work there. Over the next three months seven more supporters joined for stays of differing lengths in order to support a range of projects. 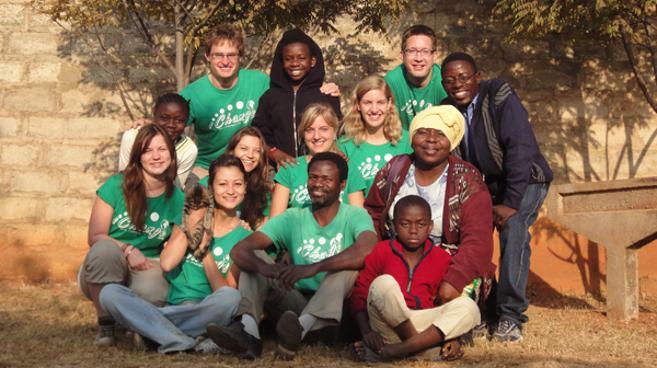 All in all, iChange was able to welcome nine volunteers from three different continents in Zambia in 2012. Good news can also be reported for our various projects. While our Educational Scholarship Program, started at the beginning of 2012, did experience some ups and downs, overall important information and insights were obtained. Thanks to the continued generous financial support which iChange receives for its stipends as well as the impressive efforts of our volunteers in Zambia we were able to accept eight additional students into this program for 2013. In addition, during the summer months a strong focus was placed on the Microfinance Program. Two volunteers conducted a scientific research project where six selected women of the Mackenzie Community received a microloan and were able to successfully and sustainably expand their existing businesses within a short period of time. Furthermore, we can report continued satisfactory performance for the existing participants in our Microfinance Program. Major changes took place in our re-labeled 'Twatasha Project' (formerly 'Kapalu Project'). After suffering some unexpected setbacks early in the year, a successful restart of this project was implemented in summer and already showed encouraging developments towards the end of the year. Important steps forward occurred with regards to the small health clinic project in Mackenzie. Together with a partner organization, iChange was able to complete the necessary structure and remodeling work for the clinic. We are now hopeful that the clinic can start providing basic health care services beginning in 2013. Together with all those in Zambia who participate in and are part of our activities, we would like to thank all of our generous and loyal supporters for their continued financial donations, which ultimately make all the aforementioned projects possible. A special thank you to all our volunteers, too, who delivered outstanding work this year. Thank you and a successful New Year!